KENSINGTON St, with a wide range of restaurants, cafes and bars, has quickly emerged as one of Sydney’s hippest new dining precincts. 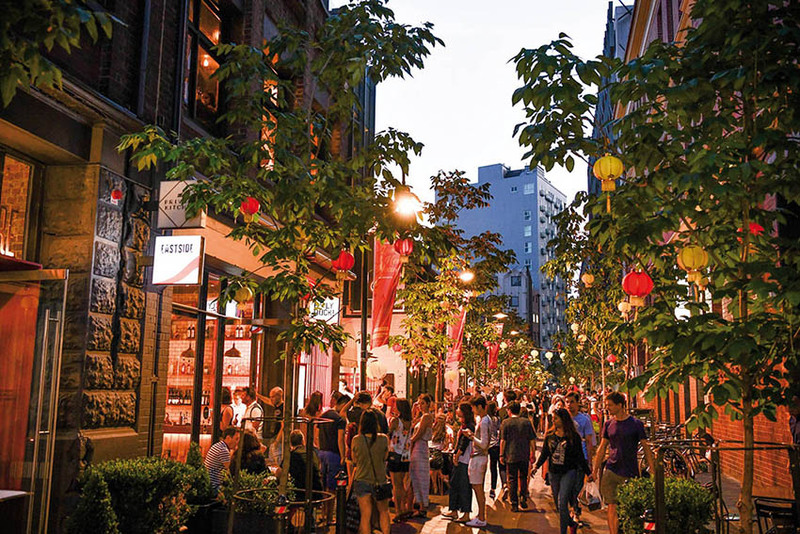 While the suburbs may be snoozing early in the week, Kensington St’s eateries and drinking holes are doing a roaring trade. Award-winning Automata and lively Kensington Street Social are among the star names, but gourmets will also find plenty of interest at chic Sicilian-themed Olio and the hip Eastside Kitchen and Bar. With a post-industrial chic theme, Kensington St in Chippendale comprises part of a former brewery building with a range of warehouse-style eateries, converted heritage cottages and 11 hawker-style outlets on Spice Alley. There are 12 different restaurants, four bars and a couple of cafes as well as the much-vaunted Old Clare Hotel. The precinct is the creation of Dr Stanley Quek and is part of the $2 billion Central Park redevelopment – Sydney’s largest mixed-use project featuring apartments, offices, retail and eateries. Dr Quek had a dream to create a community and Kensington St forms the heart of this vision with its edgy, but safe atmosphere. Olio features tasty Sicilian cuisine that uses olive oil from chef-patron Lino Sauro’s family farm in Sicily, and has a wine list almost completely comprised of Sicilian wines, with a good range of wines available by the glass. Down the stairs at Eastside Kitchen, a spectacular Fire and Ice dessert platter is a major drawcard. Part meal, part performance art, this is highly recommended for anyone on a romantic date. Visit www.kensingtonstreet.com.au.